I really enjoyed the music but now i should by another since this..
can you give me some secret keys for the phone, or tell me how to change firmware??? You can charge this phone to your computer. Just insert the mini usb tip of the usb cable that goes with the phone when you purchase it on your phone and insert the usb tip TO THE REAR USB PORT OF YOUR CPU. Remember rear and not front. buy a new batt for extra when you get drained in the middle of nowhere. im having a hard time charging my fone.. is it true that i can charge it in my pc? the battery also drains very fast.. is it really like this or do i have to buy a new battery for my phone? I suggest you ask help to your network provider because it is a network key that is being asked. 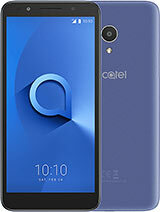 You can also opt to take your phone to any alcatel authorized service center and ask them to have it reloaded with the firmware. Hi there . i see you very active tolking about the phone..
My office mate have had his OT S853 gprs/mms running. He is using TM and he just followed my instruction which is to tell globe personnel that his OT S853 is already preloaded with the gprs/mms necessary settings and that all that is needed is their go signal something like GPRS ON and send to 3401 for smart. Globe personnel (according to him) had just doing something in his pc then after few hours his OT S853's gprs is already working. 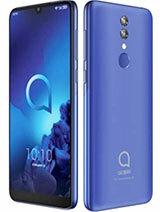 For all who have issues with this phone or just want to know some info about Alcatel and their products, email me on un112@msn.com. 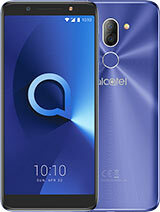 Also in 3 weeks Alcatel will show their new line of phones. crisfall, 07 Jan 2009guys, how can i open my gprs on globe and smart? 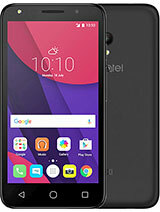 plz help....This phone (if you purchased it from versatile or from its affilliates) is already loaded with the necessary gprs/mms settings for smart, globe & sun cellular. If you are a smart user, all you have to do is to type MMS ON send to 3401 then type GPRS ON send to 3401. Of course you must have load. 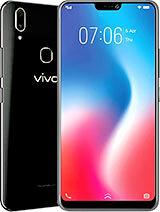 After few minutes, you will have your smart gprs/mms activated. For globe, I am not sure how to activate it because I am smart user. 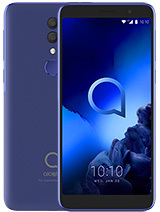 Just take your unit to globe or sun cellular wireless center or service center and tell them that the phone is already loaded with the current necessary gprs/mms settings and that only their go signal is needed. syra, 05 Jan 2009i tried to charge my phone via usb cable..and it didnt work..my original charger doesnt work t... moreIt will charge. Just insert the usb tip of the usb cable to the usb port in the rear side of you cpu. Remember, rear side and not the front usb port. syra, 05 Jan 2009i tried to charge my phone via usb cable..and it didnt work..my original charger doesnt work t... moreIt can charge via usb. Just insert the usb tip of the usb cable to the usb port in the rear side of your cpu and not in the front side. i had this phone for two years and it served me so well. im gonna change it now with a sony ericsson phone. ots853 still for me has the best speaker of all phone. no other than that admiration. connectivity is poor, remote cable is poor, acceptibility with higher mem is poor - it cant read all files. im done with all of that. Is there a chance one day the S853 will got software update that unlocks Full bluetooth??? I am still hoping one day will have. Maybe Alcatel or hackers will develop this feature...? 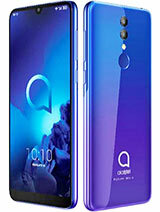 For those of you that have the Alcatel S680 or would like have information about it, please feel free to email Nelson or me for the information you need. Thanks.